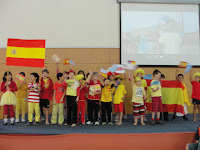 On the 21st of August 2012, Room 11 had a spanish afternoon with Room 21.We had food and a QR code hunt. 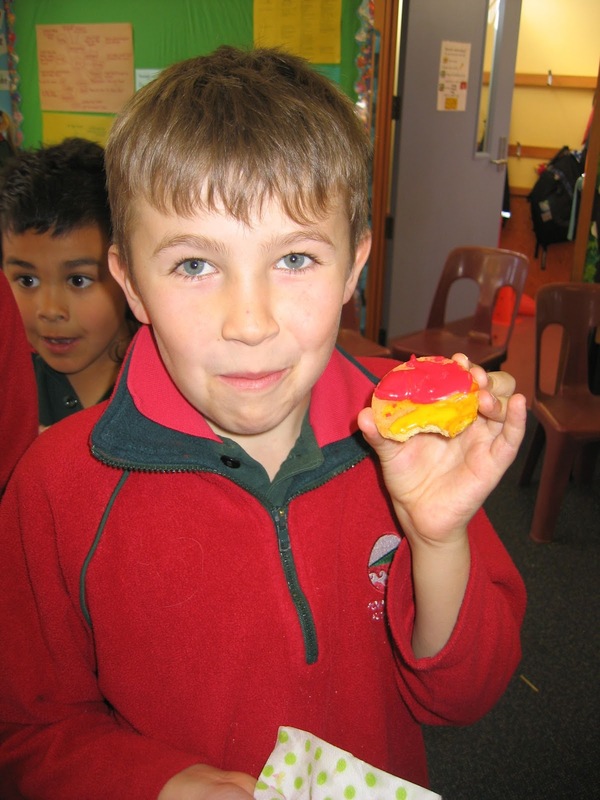 We had Room 21 buddies.We used icing sugar and made them look like the spanish flag. Hi my name is Alvin. Room 3 has not had a Great Britain afternoon. I know that Hillary made a Spanish cup cake but she put something on it. Sounds like you had a fun time. What other food did you have at your spanish feast? 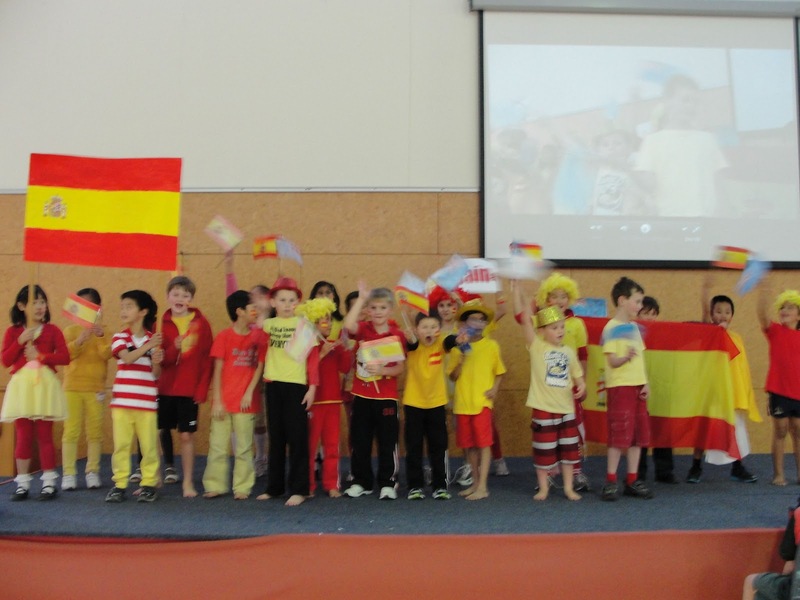 Can you share with us some of the things that you have learnt about spain? Where did your QR code hunt take you and was their a reward at the end of it? wow! Room 11 is having such fun before the mini olympic had started. 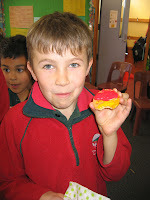 I love your feast pictures that you took. Those words that you said just make my mouth water. Where Did you do the QR Code Hunt because my class had been doing QR code too at our class room about living in London and the London olympic.